Everyone who has played Fallout in one form or another has wanted to own a Pip Boy, that’s a fact. With wearable technology improving at such a vast pace as well as a slew of crowdfunding sites this may just come closer to a reality than you think. 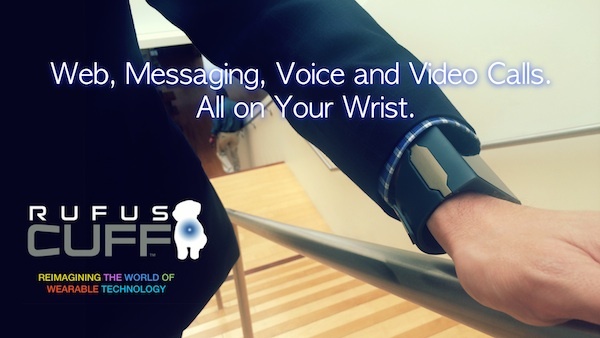 The Rufus Cuff may sound like a Canine’s new collar, but in actuality its a project on IndieGoGo which puts a 3Inch screen on your wrist. Under the covers is a built-in mic, camera, speaker, web browser, voice control, GPS as well as access to the Google play Store. This is essentially what looks like a smartphone on your wrist. As usual, it connects to your phone via Bluetooth but its running a full version of the Google mobile OS and can actually hook up to WiFi if your phone dies.